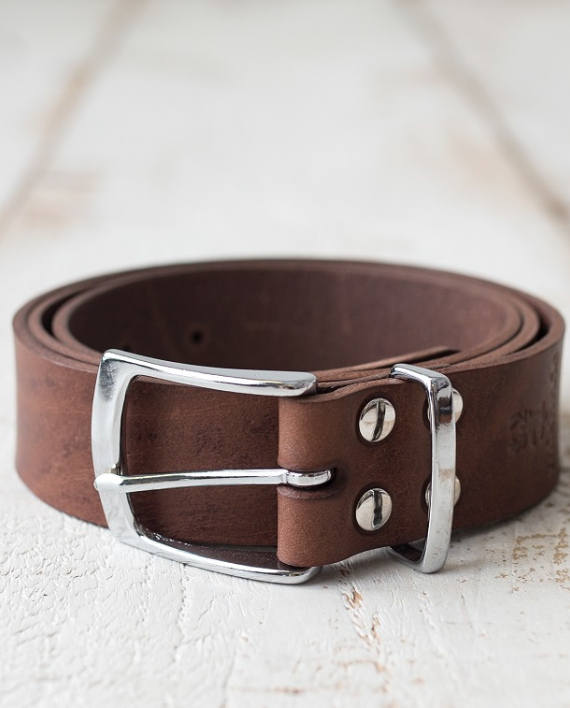 The mishnóc analine leather belt is manufactured by us in Athenry Co-Galway using the finest Italian Vegetable tanned leather. 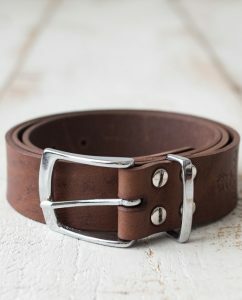 We only use solid brass buckles on this belt which are chromed. The rivets are also chromed solid brass. 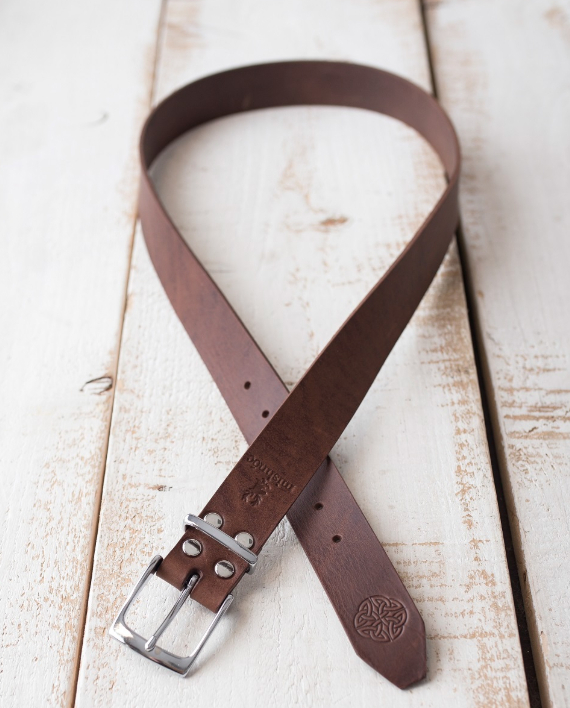 All edges are rounded and hand finished. 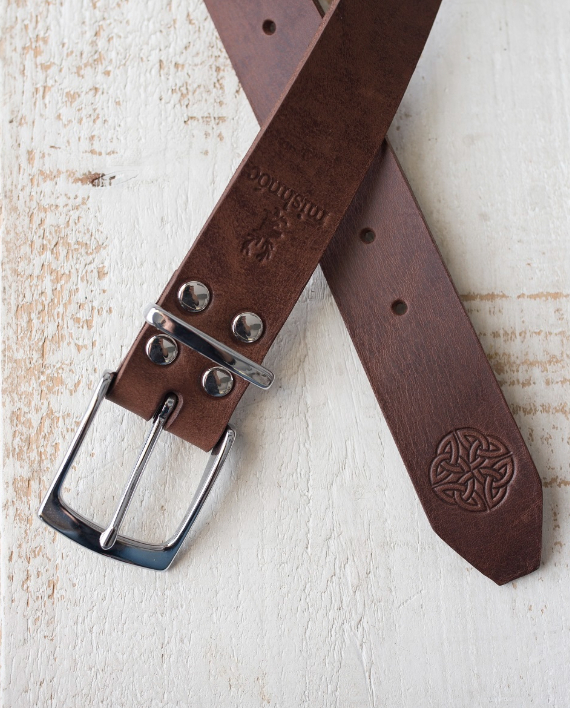 The belt comes with a debossed celtic knot as pictured. If you would like it left blank just leave a note at checkout.